Prometheus to Alien: The Evolution Box Set is a DVD/Blu-Ray set released October 8, 2012 and collects the Alien Anthology and Prometheus sets. There are a few different versions of it. 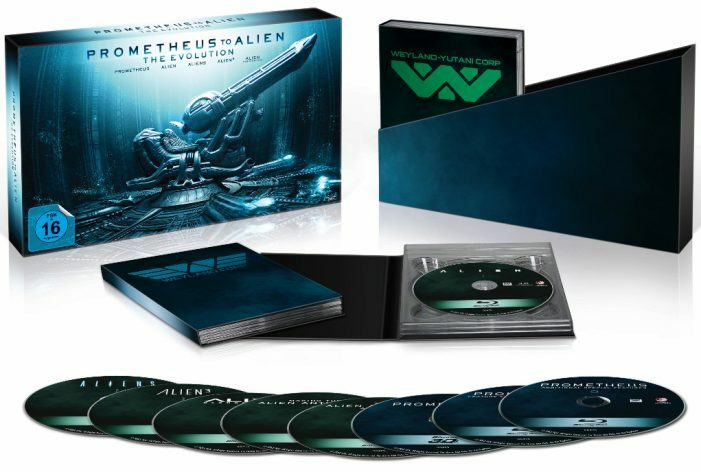 There’s a 5-disc DVD set collecting the five films, a 8-disc Blu-Ray set collecting the films and 3 discs of special features, a 9-disc Blu-Ray set with the 3D version of Prometheus and another 9-disc set that includes various merchandise. The one we are referencing on this page is the Deluxe version with the merchandise. It had a retail price of £70 in the UK. The packaging is also slightly different depending which region you are. 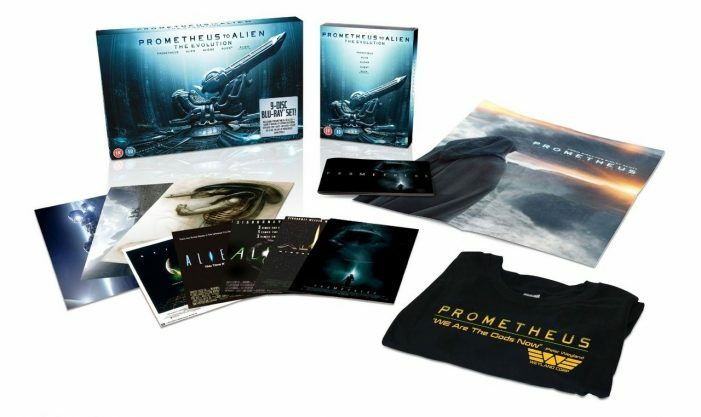 The UK version is a box containing all the merchandise while Germany/France/Japan have a version where the top slides off when it’s stood up. 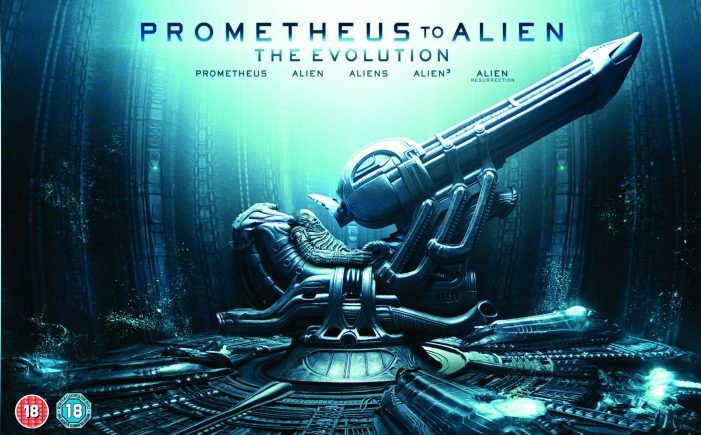 An exclusive book extract from Prometheus: The Art of the Film.